Introducing...Jigsaw. This is my 6 year old son Ethan. 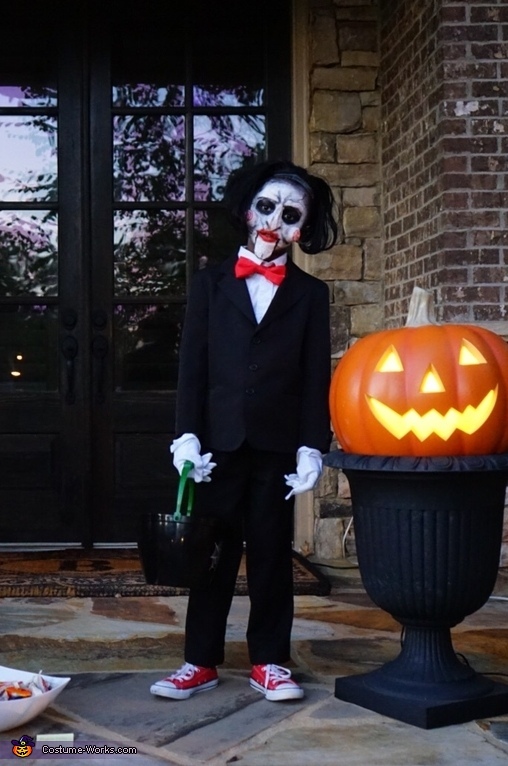 Ethan came up with the idea to be Jigsaw himself and mom and dad brought it to life! He didn't want to wear the traditional mask, he wanted his face to look like the actual puppet. Ethan likes superheroes but he absolutely loves villains. He really enjoyed being Jigsaw and stayed into character the entire time. Wow! 6 year old great Costume .